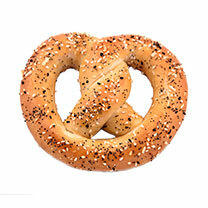 Our delicious classic twisted pretzels, salted or unsalted to your liking. These soft pretzels are hand twisted and baked fresh daily, and go great with any of our gourmet dips. Hand twisted and baked fresh, dipped in real butter, then covered in our homemade cinnamon sugar mix. 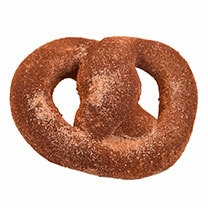 Cinnamon sugar pretzels make a perfect match for our icing dip. 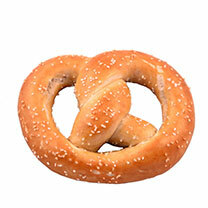 A delicious take on a classic, the everything pretzel features a twisted pretzel sprinkled with a mix of poppy, sesame, caraway, minced onions, garlic, and pretzel salt. 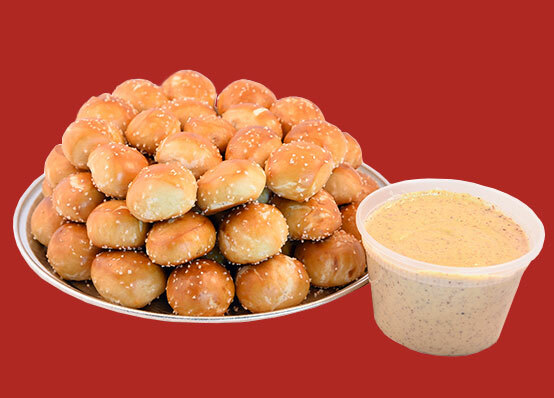 Make your next event special with Pretzel Stop pretzels. Having a party? Our pretzels add a unique, and delicious, touch to any gathering. Choose from a large range of gourmet pretzels and dips, including party platters with salted or unsalted pretzels bites. For those with a sweet tooth, try our cinnamon sugar pretzel bites with our icing, homemade from scratch using our own recipe. Or choose the unique look of a shaped pretzel. We twist our pretzels into everything from letters to an ice skate shape. Pretzel Stop is a St. Peters family dining experience like non-other. Providing a one of a kind Pretzel Menu for Dining In, Ordering To Go, and Catering. Pretzel Stop provides St. Peters and the surrounding areas with Classic Pretzels, Flavored Pretzels, Pretzel Bites, Gourmet Burgers and Sandwiches on a Pretzel Bun, Pretzel Desserts, over 15 unique dipping sauces, and much more. ©	2019 Pretzel Stop - Baked Fresh Every Day!